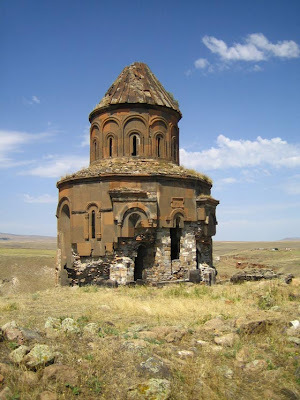 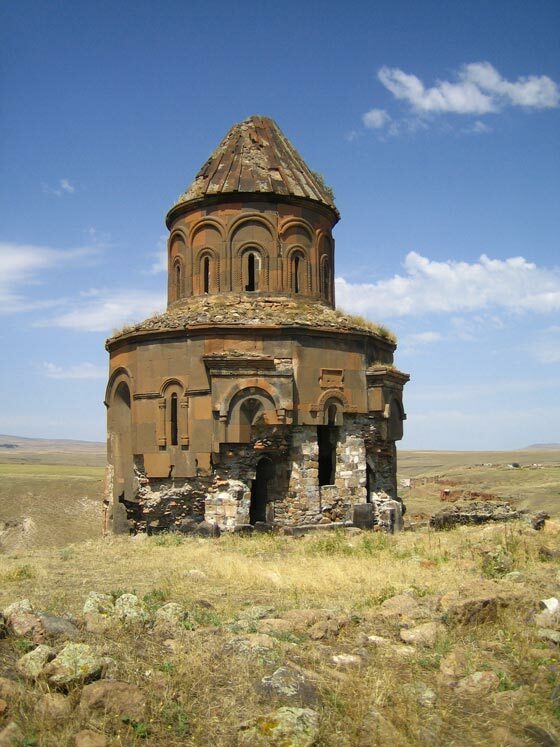 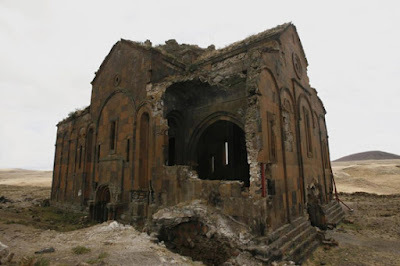 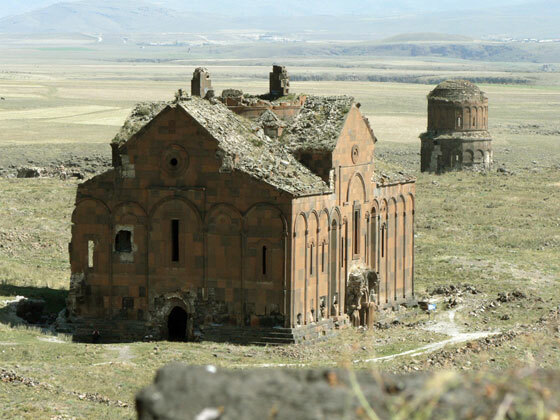 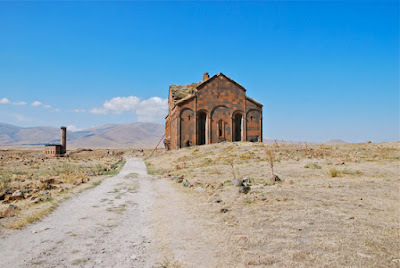 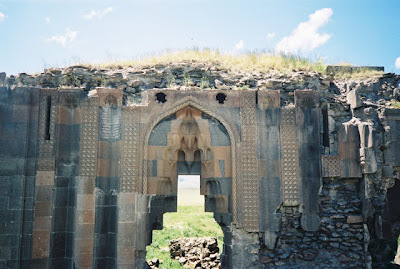 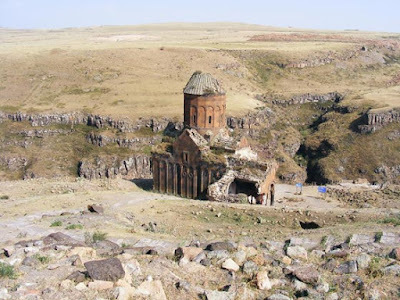 Ani is a ruined and uninhabited medieval Armenian city-site situated in the Turkish province of Kars, beside the border with Armenia. 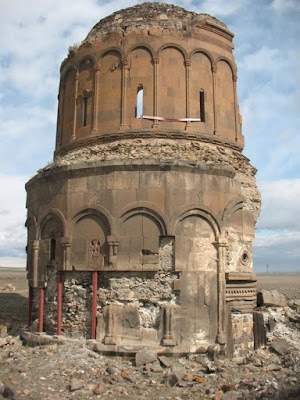 It was once the capital of a medieval Armenian kingdom that covered much of present day Armenia and eastern Turkey. 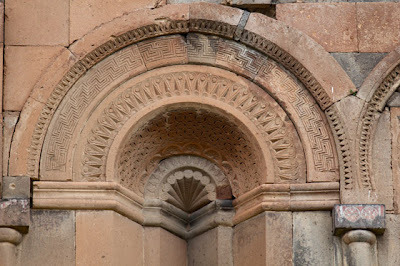 The city is located on a triangular site, visually dramatic and naturally defensive, protected on its eastern side by the ravine of the Akhurian River and on its western side by the Bostanlar or Tzaghkotzadzor valley. 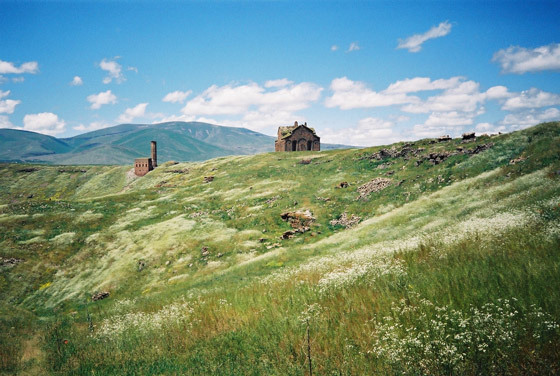 The Akhurian is a branch of the Araks River and forms part of the current border between Turkey and Armenia. Called the City of 1001 Churches, it stood on various trade routes and its many religious buildings, palaces, and fortifications were amongst the most technically and artistically advanced structures in the world.